Monark’s name has been popping up more and more since their inception in 2013. But not in the same sense as the underground metal/punk groups that you hear someone whispering about in the basement of some dark, smoky club. Rather, they’re mentioned in mainstream news and the playlists of 5FM, Jacaranda & Highveld Stereo. 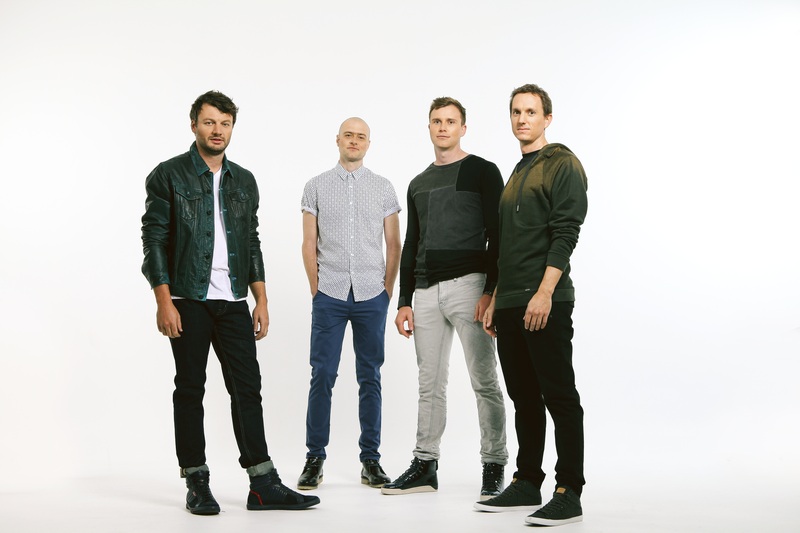 Their music gets compared (for better or worse) to groups like Coldplay and Civil Twilight, but mentions of artists as diverse as Connell Cruise, Gangs of Ballet, and Muse would also be fair. Their aim seems to be a commercially oriented, radio-friendly “cinematic pop” – perhaps a more easily digestible sibling of ISO. Their sound on their debut album, Negatives, is defined by a comfortable mix of synths, guitars and keys, with contrasts between quiet, introspective, ballad-like segments and the kind of big, loud pop-rock choruses that leans heavily towards arena rock. The production is grand and crystal clear, with wide and varied arrangements that keep their songs from becoming boring or stale. Catchy melodies underline peculiar lyrics like “I want to shake the chains off your animosity / You’re willing but you’re holding on to all your vanity”. Listening to the broad strokes painted by this album, it seems like a very positive outlook on life and live ‒ “you make me feel like something / you make me feel again” and “the worst is over now; no weight will hold us down” ‒ but that’s also contrasted by lines like “I will wait for you (if you want me to)”, “come and take me over ‘cause I’m going under, could you stand by me”, and “so call on your devices and force your wall around / When the cold is over, baby, and I’m the only one around”. Despite it’s slightly ambiguous outlook, it’s the kind of album that makes you smile and sing about life’s tragedy, instead of sulking. Negatives will make a great addition to most CD collections, and Monark firmly deserve their positions on the playlist and charts of major radio stations, and the tongues of avid music listeners everywhere.